When you invest money, you expect results. Nothing wrong there. But if you’re not things the right way, chances are that you will not yield any results. And if that thing is social media, then god save me. Things related to social media change so quickly that it’s difficult for a novice to adapt quickly and change the game as quickly. You need a complete social media management or SMM pro. In case you still haven’t heard (though I wouldn’t believe if you haven’t), what is social media advertising? These are ads served to users on social media platforms. The user information on social profile is a goldmine to serve the right kind of ads to the right people at the right time. That really is the key. The biggest advantage with social media advertising is that you can align target market with user demographics, and if it is supported with other factors of a successful ad – WHOA! You have big conversions and sales with low cost of acquisition happening there. If you haven’t invested in social media advertising, you first question will be – why should you? There are many other reasons that you should invest in social media ads, perhaps I can write another blog on the topic. But the above reasons are compelling enough to invest in the technique from today. Which social media channel should you focus on? Now that my friend, I’ll have to say is an interesting question. You have the best answer to this. There is nobody else, other than you, who knows your product/ service as well as you do. You even know your target audience well. You must sit back and think about who best your target audience is (demography, gender, age, profession, marital status, and other such factors). Once you have thought about that, we will help you figure out how much money should you park in which social media channel to gain the maximum impact. Some of the most popular social networks are Facebook, LinkedIn, Google+, Instagram, Snapchat, Pinterest, YouTube and a few others. There might be some that are getting gradually popular like Vimeo, Tumblr, Facebook Live, Periscope and some other that can become popular overnight. Content that is original, useful, relevant and realistic resonates better with consumers. The audience is more receptive when the content is original and entertaining. Some brands use people who are technically sound but not creatively adept. It doesn’t take a great writer to create viral content on social media, you just must be original. They must tell stories, become visual, share ideas, ask for ideas, and just be conversational with their followers. 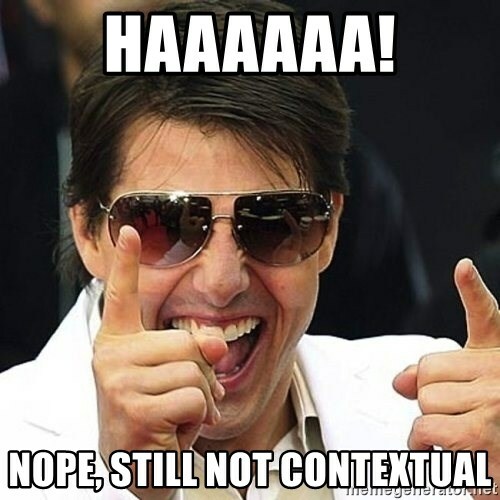 Now you can’t ignore context in your content, can you? Dive into the lifestyle, motivation and preferences of your consumers to write content that makes sense to them. Personalized content drives engagement. Instead of plain information, share what’s in it for the consumers. Writing contextual content requires a mindset change where brands are required to think consumer first and not how sales will happen. Facebook, Instagram, Twitter, LinkedIn – you are perhaps already posting content on these channels. Perhaps even SnapChat and Pinterest. Some posts are more popular compared to the others. Are you keeping track of such posts? The high-performing posts will help you shape your paid social media ad campaign accordingly. Ads were not as effective in the past as they failed to reach the target consumers. With advanced targeting features of social media channels, you can reach the desired consumers in the most effective way. When creating social media ads, you must leverage the targeting feature of the social media channels. One of the key differentiators of social media ads is that you can get instant feedback. The effectiveness of your campaign can be measured within a short span of that appearing on the social media channel. You can start with small campaigns to understand what works with your target consumers and then plan the big campaign accordingly. Analyze the analytics, see which smaller campaign is working best and make that the guideline for the big one. 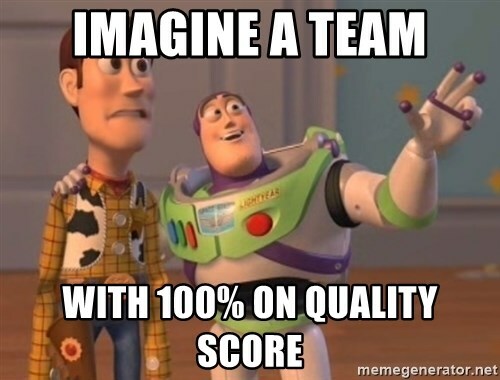 There might be different names to it but basically the quality score is your performance indicator of ads. Facebook calls it relevancy score and it gauges the ad impressions (and if the cost of engagement is low, you’ve kind of achieved the desired goal). You must be prudent while promoting content – for example pick you best content to score a high-quality score. How do you find out the best content? Rely on analytics. Check your top performing post on LinkedIn, Twitter and Facebook that has garnered the maximum traction. It’s always better to invest in high performing content. Each one of us has favorites. So, do our consumers. Understand the social media channel, the kind of people using that social media channel and what is the key feature of the platform. For example, Facebook, Twitter and LinkedIn are all social networking platforms while YouTube, Instagram and Pinterest are more visual. Planned focus in different channels will help you get better results from different channels. When more than 80% of your consumers access social media platforms from their mobile phones, you just can’t ignore it. It implies that even social media ads are viewed on mobiles. Don’t forget to have mobile optimized ads (or rather get them optimized for tablets as well). With ‘Geofencing’, you can even take advantage of mobile consumers when they approach near your business locations. One of the biggest mistakes that brands make is to be so self-absorbed that they don’t listen to their online users. If you listen intently and respond earnestly, chances are that you will have better brand loyalty. Open your ears and hear what consumers might be saying about your brand on social media channels and discussion forums. Brands must start thinking beyond interaction. Being accessible to your consumers means that being available for a quick online chat (or have the bots cater to that need), answer consumer queries instantly, build relationship with followers and respond to their complaints. You must be quick to respond. Well, we’ve given you a lot to think about and work upon to start generating leads from your social media ads. If you still need help, we’re right here. Thanks Linda. Keep coming for more informative posts.